The last few years have seen eSports develop rapidly. According to Forbes, the total income of the eSports industry grew from $493 million in 2016 to $655 million in 2017 and is expected to increase to over $900 million in 2018. Research conducted by SuperData and PayPal meanwhile reports that the total eSports audience grew by roughly 2 to 3 million people in the same period of time. Companies such as CocaCola, Microsoft, Amazon, Tencent and many others are increasingly investing in eSports, in recognition of the industry’s huge growth potential, as well its unique appeal which has helped it grow an audience of millions. There may even come a day when esports competitions are held in the same regard as those of traditional sports. The rise in popularity and market size of eSports has also seen a growing number of online gaming platforms emerge. These platforms allow players to become a part of the global gaming community, enabling them to share their experience, play with others, and even earn prizes. However, there are all too often drawbacks to these services, especially where earning from gaming is concerned, be it difficulty withdrawing funds, lack of transparency in the distribution of prize funds, and fraud on the part of third-party services. These problems, as well as many others, may be solved through the implementation of blockchain technology – a technology which has found applications in a variety of other areas and is now poised to bring its benefits to esports gaming. Blockchain is a huge, constantly supplemented, decentralized database with shared access, which utilizes a chain of blocks to store transaction data. Data is complementary across multiple blocks, meaning that data cannot be removed or replaced in a single location without altering it across every block. In addition to the lack of a single centralized storage, blockchain technology reduces the potential for hacking or fraudulent activity and is immunized against the threat of a single compromised unit compromising the entire database system. Despite the potential advantages and benefits offered by blockchain technology, few online platforms have yet to take advantage of implementing blockchain technology. 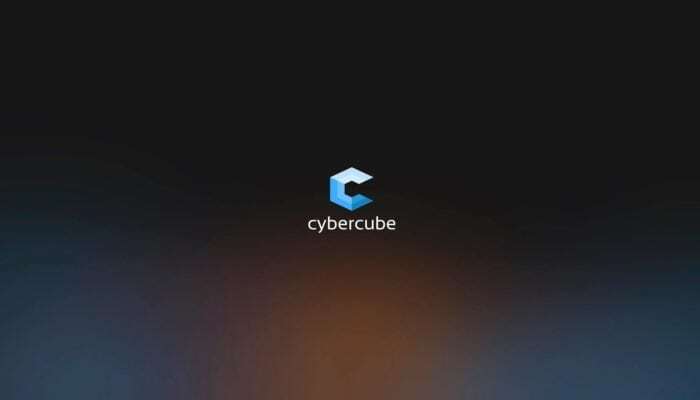 However, one such service currently under development, Cybercube, aims to take advantage of the benefits posed by blockchain technology by using it to build their service from the ground up. Speaking to the Cybercube team, we were able to find out just how blockchain technology can be used to solve the most pressing problems of the eSports industry. When creating tournaments, organizers often assign an entrance fee, helping to form the prize fund which is ultimately distributed amongst the tournament’s winner(s). However, outside of major, well-known tournaments, which the vast majority of players are unable to take part in, the distribution of prize pools is largely unregulated. Players often don’t see the promised winnings or are not paid at all. In addition, there are cases when the player plays worse than the rest of the team and, contrary to the agreement, the team deprives him of any compensation. This particular issue may be solved by blockchain technology via the use of smart contracts – a computer algorithm which prescribes all the conditions for the distribution of prizes. Smart contracts ensure the transparency and execution of the terms of transactions, by automatically distributing prizes per pre-prescribed conditions, which thanks to the blockchain system, are available to all participants, and cannot be changed or altered by a single user or party. The contract code sets out key performance indicators for each player. After the completion of a game or tournament, these figures are automatically compared to the real indicators and, as a result of this comparison, the distribution of the winings occurs.If the indicators lag behind, the reward is automatically cut; if the indicators don’t lag, then the remuneration is calculated in full. Thus, the agreement in a smart contract can not be violated. Whilst many players are keen to take part in solo tournaments, they may often become victims of fraud due to third parties, especially if they lack management. This is due to third parties withholding, refusing, or otherwise delaying the payment of winnings to players. Smart contracts again help to mitigate these particular issues by allowing players to safely make contributions, collect winnings, and compete for prize funds without the need for third parties. Since smart contracts ensure that the distribution of winnings are prescribed in advance, players can be assured that they will be executed properly and quickly at the end of a tournament. Many players utilise the sale of valuable in-game items such as skins in order to earn money from gaming outside of tournaments. Today there exists a huge number of intermediaries and services which allow players to trade skins, though they nearly all have in common incredibly high commission rates, with some charging up to 20% per transaction. There also exist a huge number of fraudulent services, many of which can be hard for the average user to distinguish from legitimate ones. Blockchain technology allows for the implementation of real-time blockchain auctions, which utilise the advantages of decentralised information storage to mitigate the potential for fraud, whilst also doing away with the need for third party services and hence needlessly high commission rates. Most online games now offer rewards for players or some form of monetised in-game items, be it skins, weapons, clothing, or access to particular maps or game-modes. The cost of these items can vary hugely, from a few cents to tens of thousands of dollars, with the most-expensive skin sold to date, specifically Dragon Lore for CS:GO, selling for $61,000 dollars. Whilst the sale and purchase of skins is supported by established and reputable services such as Steam, the inability of users to withdraw funds from their Steam wallets means they are forced to seek out third party services in order to re-allocate funds to external accounts. These third party services, as is often the case, can charge high commissions, with players sometimes losing up to 50% of the original value of their funds by the time they have been re-allocated. Blockchain meanwhile operates chiefly using cryptocurrencies, allowing for unprecedented access to and freedom in moving money around between a user’s accounts and wallets, without incurring commission or transaction fees, as well as being quick and secure to use. Cybcercube itself aims to utilise an internal currency which can be converted directly to cryptocurrencies such as Bitcoin or Ethereum to further increase the ease with which players and users can re-allocate their money. Some gamers and prominent eSports figures choose to create and host streams, live broadcasts featuring gameplay and viewer interaction. These streams can attract thousands of concurrent viewers, and several major streaming services offer streamers the opportunity to build up consistent audiences and income streams through allowing viewers to subscribe to their particular streams. Viewers also often choose to donate to their favourite streamers of their own volition in order to support their favourite streamers. However, it is not uncommon for malicious viewers to donate to a streamer in order to request a chargeback – a request for the denial of a transaction and the return of funds to the original cardholder. Chargebacks can be used to harass streamers, particularly large chargebacks, since streamers are required to pay a commission on the return of chargeback donations. Cybercube’s use of blockchain technology and cryptocurrencies does away with this issue. Since cryptocurrency transactions are decentralised and anonymous, the origin of transactions cannot necessarily be identified, removing the ability to conduct chargebacks, preventing chargebacks being enacted out of spite since those wishing to utilise them so cannot be guaranteed to have their fake donations returned to them. Blockchain technology has the potential to radically transform the eSports industry. It offers a number of practical solutions and potential improvements to long-standing issues, offering more convenient and transparent alternatives to existing services. It isn’t surprising that the number of online gaming platforms that implement blockchain solutions in their work is constantly growing. The more gaming platforms adopt such a system of work, the sooner the moment of transition of the industry to cryptocurrency begins. It’s only a matter of time.